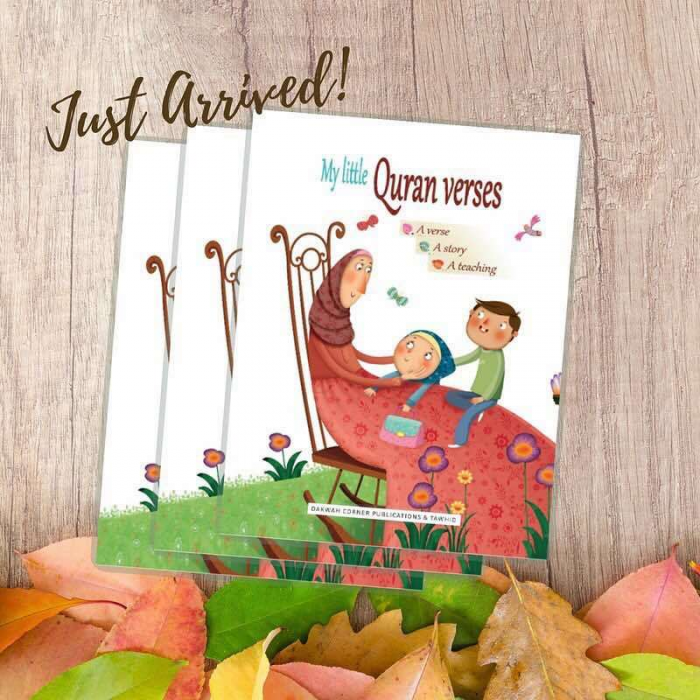 In My Little Quran Verses, your child will find a fun way to learn the Quran verses requiring us to worship God and behave well. 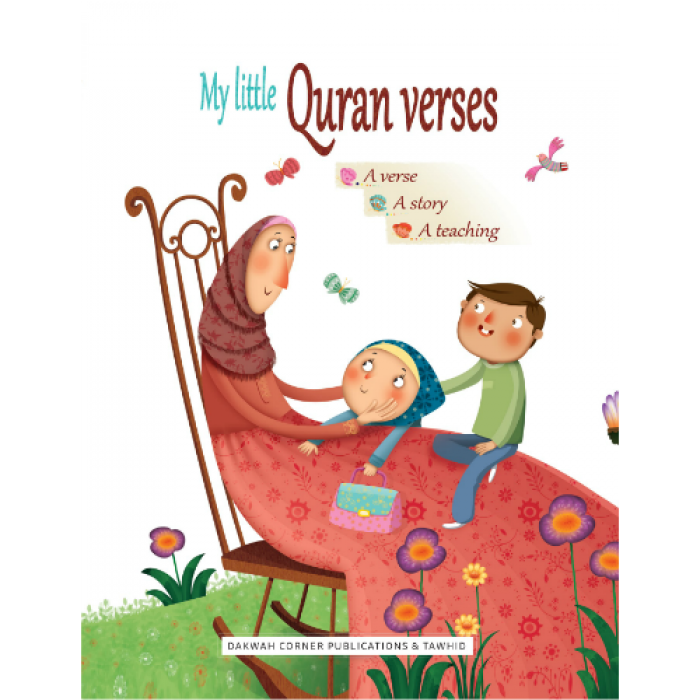 As they follow the adventures of Aya and Sarah, Salim and Adil, your child will first of all learn how to love Allah. In the second part, they will read stories about good behavior and understand the noble qualities advocated by the Holy Quran. 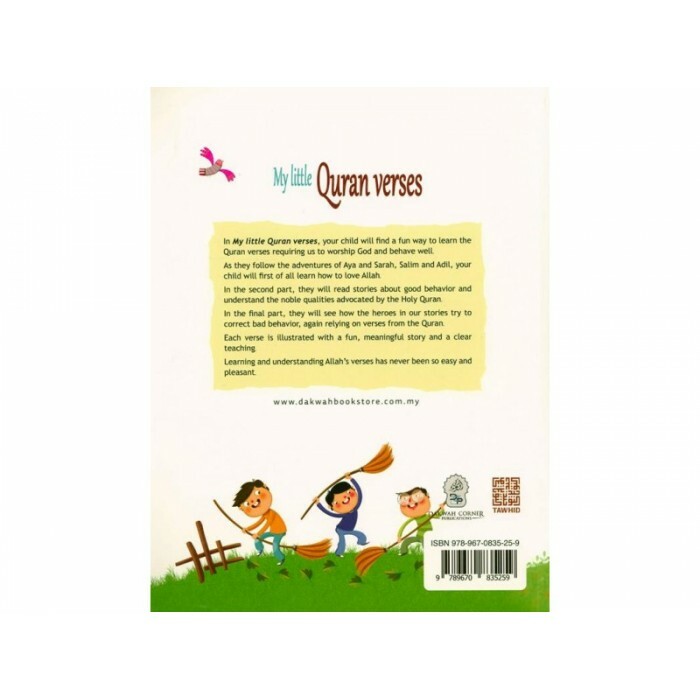 In the final part, they will see how the heroes in our stories try to correct bad behavior, again relying verses from the Quran. 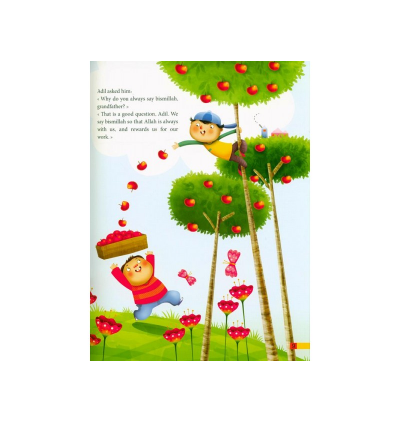 Each verse is illustrated with a fun, meaningful story and a clear teaching. 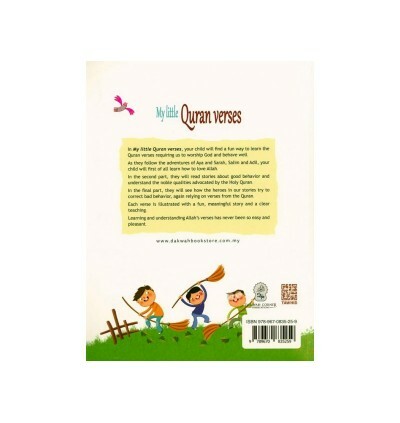 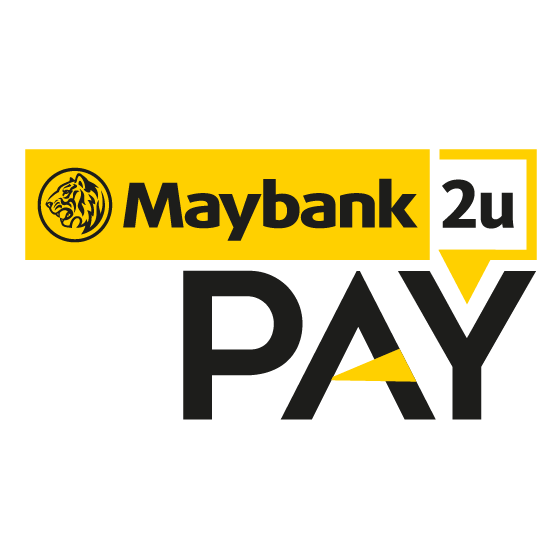 Learning and understanding Allah’s verses has never been so easy and pleasant.